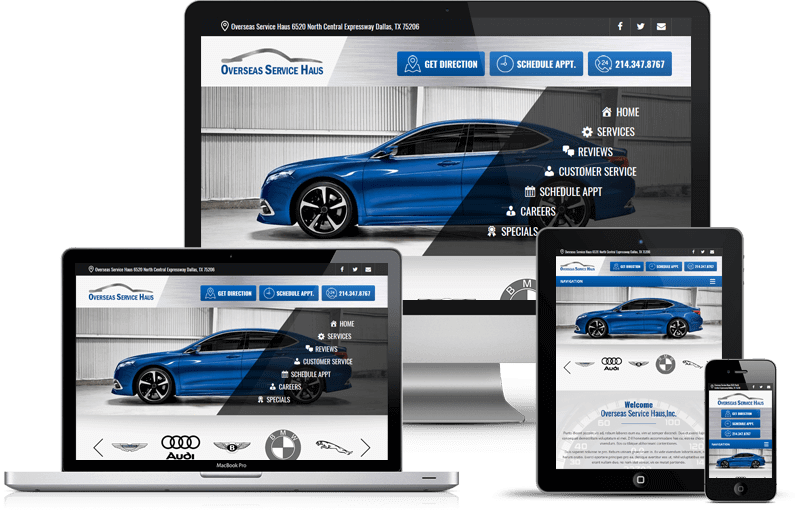 The best auto repair websites on the internet are built by Seota. Integrated to your RO system. What is the difference between our sites and the competitors? We build all of our websites ourselves. From the ground up. We don't use 3rd party themes that are bloated with stuff you will never need for your repair shop. Ask yourself, do you want a 1980 AMC Pacer loaded with bricks in the hatch or a 2018 Shelby GT500? (full disclosure our owner would rather have the 2007 Shelby GT500 but that is not the point). Go with the Shelby and go with Seota for high a performance website. Seota is one of the few web teams that can work under the hood. 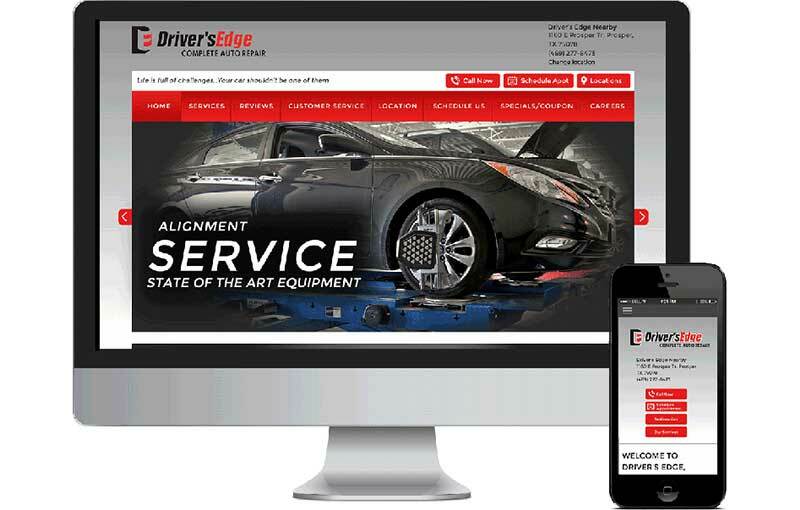 Why Our Auto Repair Websites Are Better. We have already integrated to a few Repair Order systems. We have tight scheduling integration to ShopBoss Pro and we are working on a few other integrations. You customers using their phone don't need a lot of fluff - they want to call you and get directions. Your new Seota powered website will be firing on all cylinders for your mobile users. Easy touch to call and easy links to directions will make your website convert more traffic to appointments. We build everything in WordPress including our own custom plugins, and integrations. Your new website will be easy to manage and built with the most widely used web software on the planet. Do you need a custom program to do something via a web browser? We can build anything and have built quite a few incredible web based software projects for the repair shop space. We are working on custom integration to parts providers like Turn4 as this page is being written. You don't need to be a web expert - that is our job. We have turn-key monthly plans that come with an awesome website. That means small up-front cost for you and ongoing monthly marketing and web maintenance included with your monthly subscription. Running a small auto-repair shop or lube and oil change can be challenging. There is always something interrupting your revenue stream if it is not the weather it is the holidays. At Seota we understand and we have built a special program for the independent auto repair shop owner. Get your website and marketing all done for a small monthly fee that you control. We have 4 different packages that are priced per locations. You can spend as little at $299 per month and get a new website as well as consistent monthly internet marketing. Our high-end plans start at $1499 a month per location but most of our repair shops are on our $499 plan. This plan drives the right amount of traffic and gets you a little nicer website. See our pricing. We strive to help small businesses be more successful. Please reach out to us. We can help you drive more repair orders..